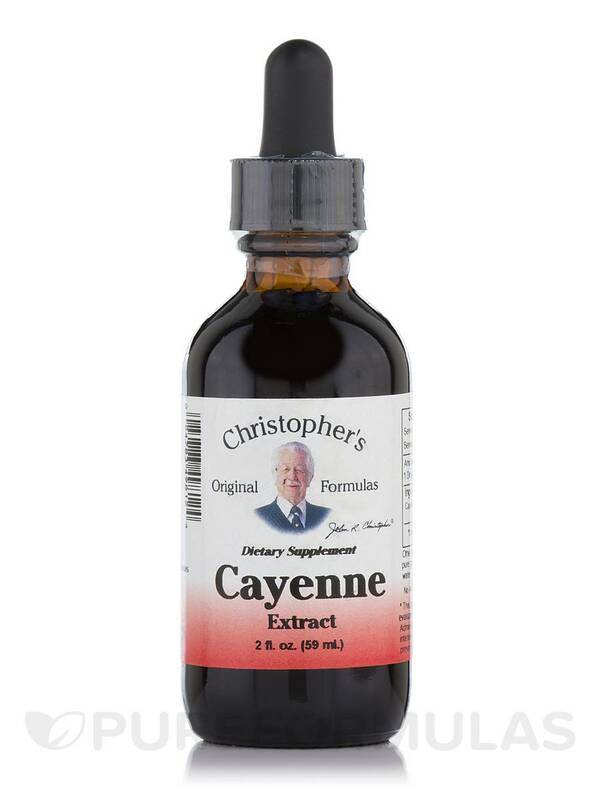 Cayenne Extract is manufactured by Christopher's Original Formulas® to maintain a healthy digestive system. Cayenne Extract improves the functions of the digestive system by increasing the digestive fluids in the stomach and stimulating muscle movements in the intestines. Cayenne Pepper has Capsaicin‚ which aids with the absorption of nutrients and stimulates the digestive tract. Cayenne Pepper helps relieve digestive problems such as intestinal gas and stomach cramps. Some research suggests that taking Cayenne Pepper stimulates blood flow‚ relieves headaches and joint pain‚ lowers cholesterol levels‚ and improves the functions of the cardiovascular system. Cayenne Extract is ideal to promote overall health. Other Ingredients: A base of 50% pure grain alcohol and distilled water. As a dietary supplement take up to one dropper in a cup of hot water‚ or as directed by your health care professional. 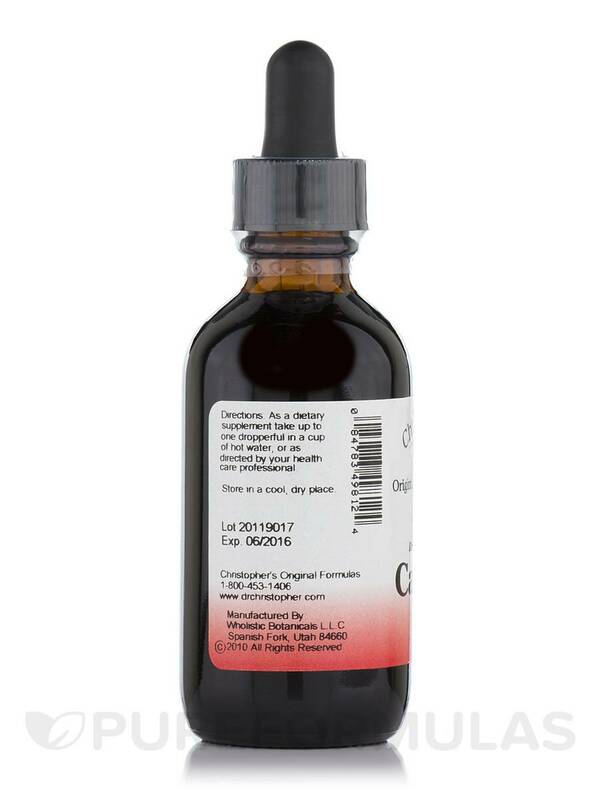 I was very happy to find my Cayenne by Christophers Original Formulas in a 2 fl. oz bottle for such a good price. My husband uses cayenne daily when he makes up the juice of a lemon and the juice of a lime in distilled water. 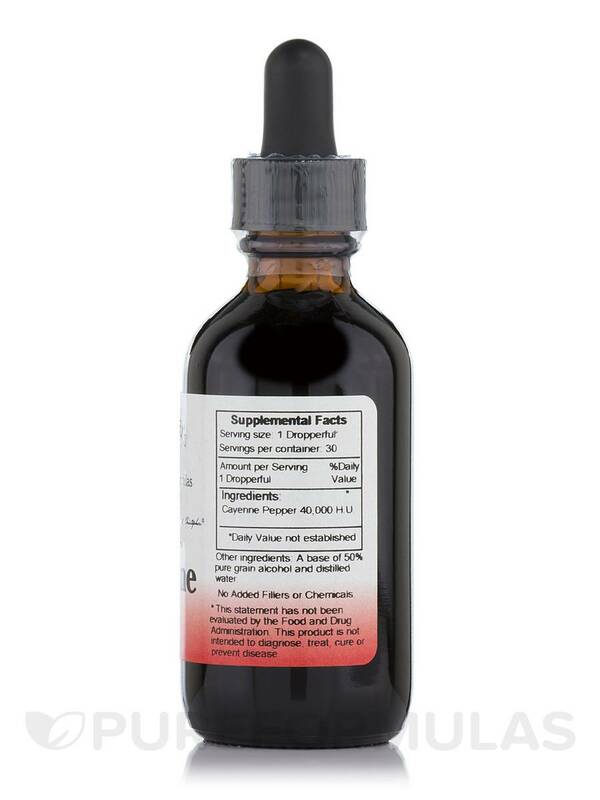 He adds ten drops of cayenne to this and drinks it for his kidneys to be cleansed and flushed. Cayenne is another wonderful natural product for so many health uses. The size of the bottle and it is based on Dr. Christopher's formula. I highly recommend people doing research on cayenne!